Dutch artist Theo Jansen melds art and engineering in his intricate skeletal sculptures. 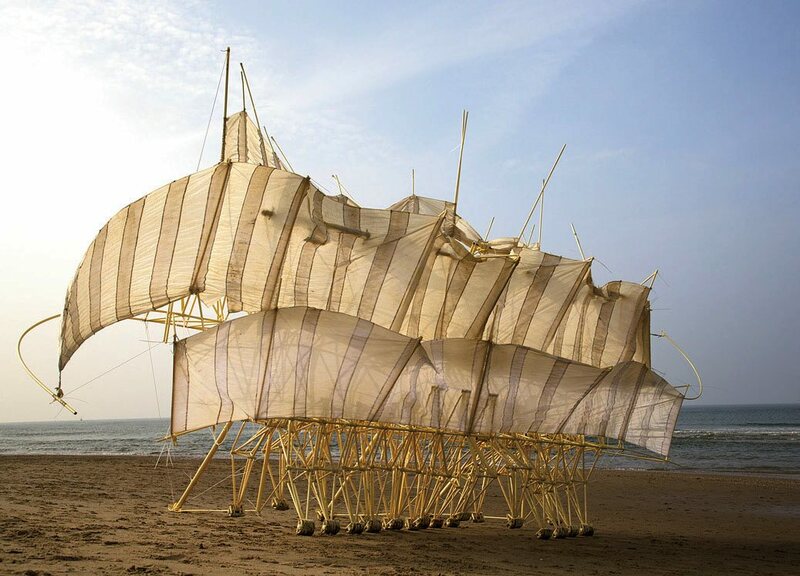 PVC tubing and zip ties form the essential “bones” of Dutch artist Theo Jansen’s otherworldy yet mobile strandbeests (“beach animals”), eight of which are on display at the Peabody Essex Museum (PEM) starting September 19. 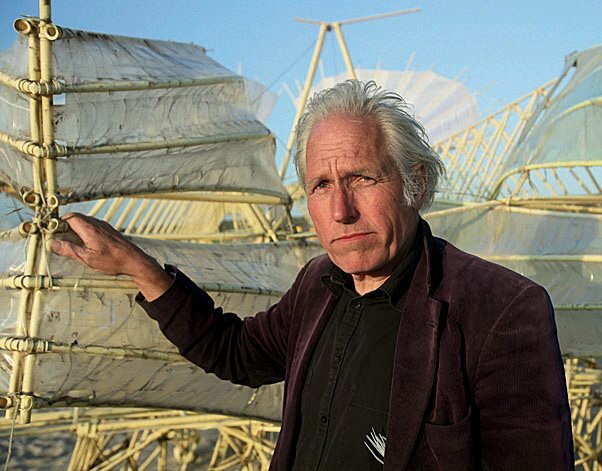 Included is his latest and never-before-seen Animaris Umerus Segundus, along with sketches that offer insight into Jansen’s creative process during the last 25 years; “fossils” of creatures no longer “alive”; and video of some “beests” traveling in gangly equine elegance along a sandy seacoast in The Netherlands. Also on view are original photographs by Lena Herzog (published last year in Strandbeest: The Dream Machines of Theo Jansen) who spent seven years documenting the origins and inner workings of this new kinetic species. This marks the first major American show of Jansen’s large-scale works; it moves on to the Chicago Cultural Center and San Francisco’s Exploratorium. Jansen himself will visit the Greater Boston area for a few events, such as a panel discussion (to be webcast) with Trevor Smith, PEM’s curator of the present tense, and MIT associate professor of media arts and sciences Neri Oxman, taking place on September 10 (3-5 p.m.) at the MIT Media Lab—followed by a live, outdoor demonstration of a walking strandbeest (5:30-7 p.m.).